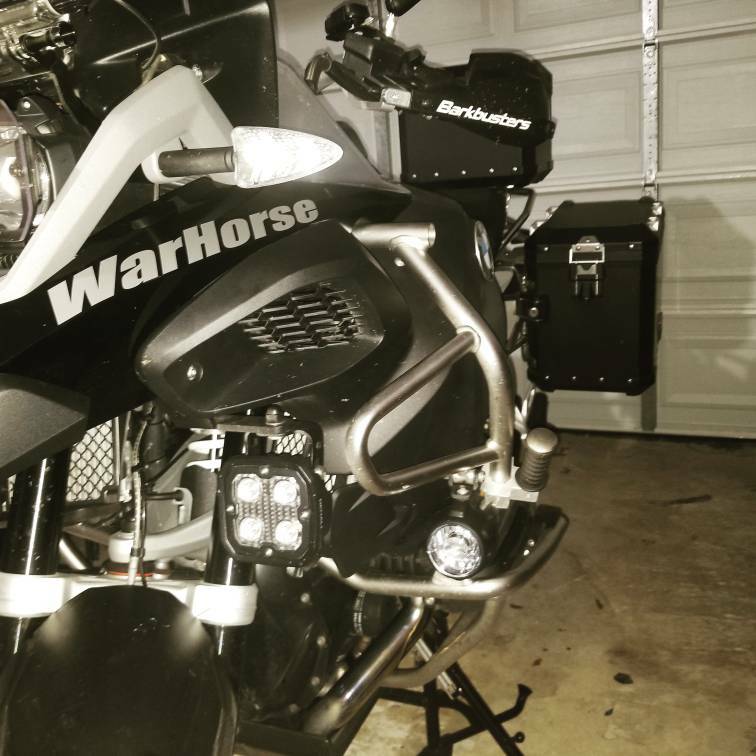 Had some Xpel PPF installed and installed my Givi Tankloc ring for my XS320 tank bag. Not sure if I'm going to do much else for add-on; R1200GS accessories are stupid expensive, starting to wish I'd kept my Multistrada. Location: Jersey "Land of the Lane Closure"
Try some of the Chinese stuff. I have had good luck. I did a little adjusting and Farkle modification today. 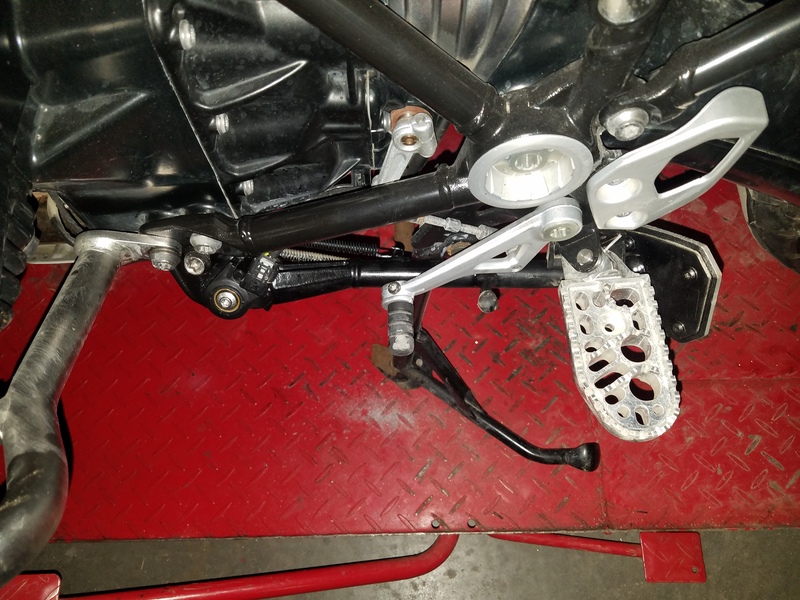 My side stand is too long, I have a Std GS Adv which the previous owner lowered by replacing the springs. When in One Helmet or One Helmet plus Luggage the bike was precariously vertical. Taking a leaf out of another inmates notebook I removed the side stand and did a little grinding on the side stand pivot stop allowing the stand to swing a little further forward when down and thus effectively shortening its length. While the stand was off I also corrected another issue. After installing BDCW foot pegs the pin used to deploy the side stand was too close to the footpeg which made it difficult to deploy the side stand especially when in extremis on a slope etc. 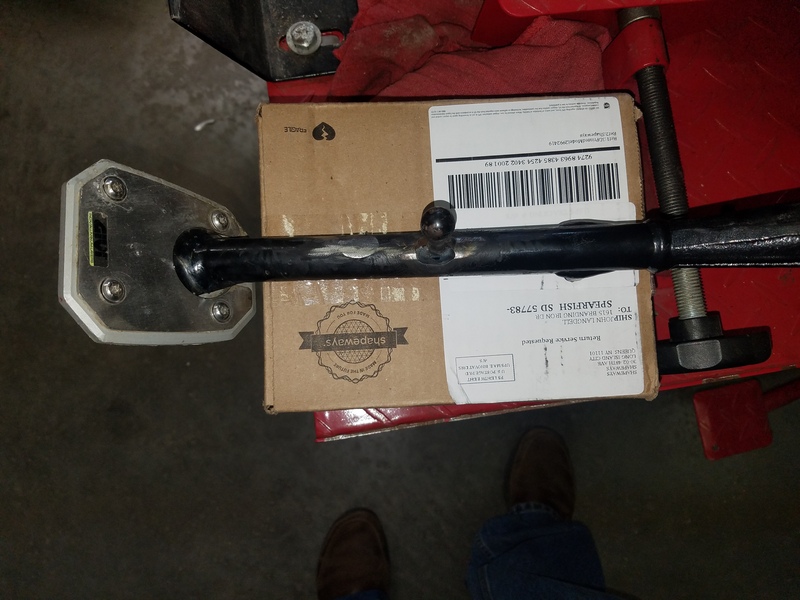 I cut off the pin, moved it up about an inch and a half and welded it back on. Problem solved. The pin is now easily heel accessible between the Shift lever and the Foot Peg. Due to my own stupidity, I lost a Radar Detector while on my recent Flight from Winter. The RD had survived for 65,000 miles on my FJR using 3M Dual Lock (HD Velcro like the stuff that comes with your EZ-Pass) on the Brake Master Cylinder Cover. 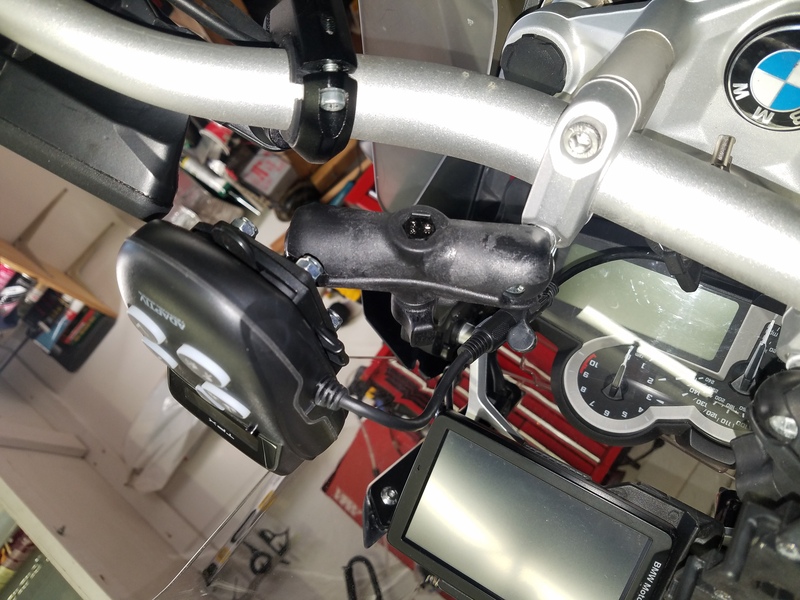 A good friend made me a stealthy mount for the GSA, I added said Dual Lock and thought I was good to go, a rough gravel road in New Mexico disabused me of my notion of readiness. I looked down and the RD was MIA. I rethought the mount and procured the requisite RAM balls and arms and combined them with the Factory Bayonet Mount. A much better solution than the previous Dual Lock solution and this enables the Laser Detector to have a better shot down the Line of Advance. Do radar detectors really work? Good ones do. 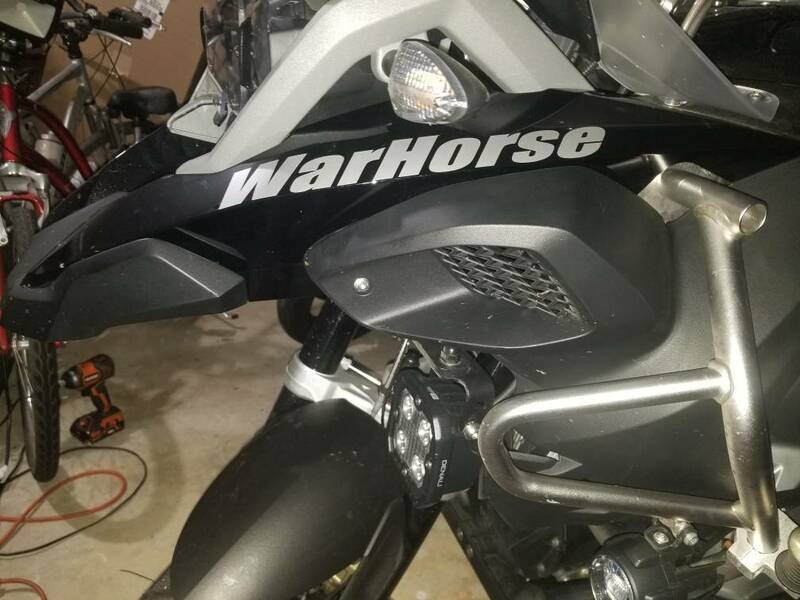 I run a Valentine One on my GSA and Spousal Unit has an Adaptive on her GS. The V1 not only alerts you, it also tells the direction the signal is coming from. They are not fool proof and you must pay attention to what it is doing and learn to interpret the signals it is sending. 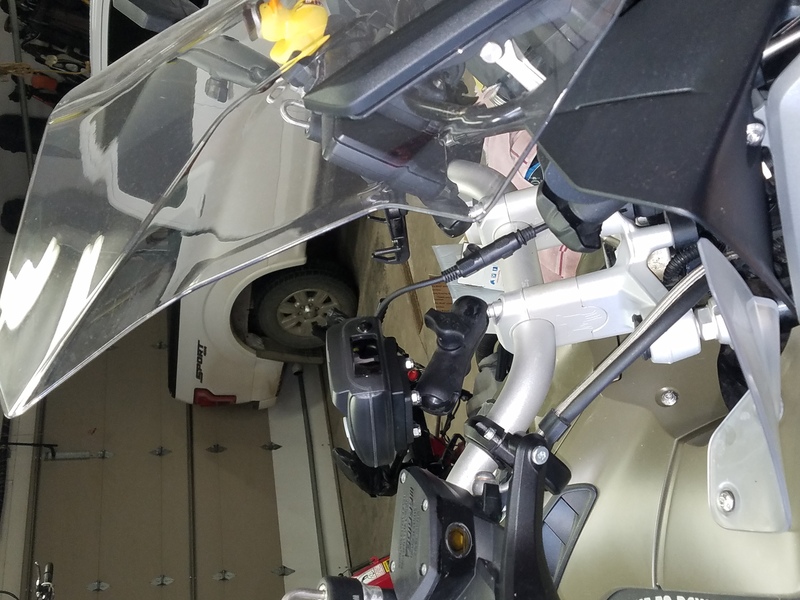 Having a LED alert light in your line of sight and/or an audio signal in your helmet is a big plus. I find they are more effective in the rural west where I live than in more densely populated areas. A well trained LEO professionally operating an instant on radar or laser can defeat the best detector, but quite often LEOs do not take full advantage of the capabilities of their equipment. I’ve been running a detector on motorcycles for about six years. I believe it has helped me avoid being stopped a couple of dozen times. I have been stopped only once while running a detector and that was because I was clocked by a trooper in an aircraft while in Nebraska. Didn’t get a ticket tho.